I have blogs and facebook and photo albums - but what will I have for the kids to sit down and look through when they are older? I've always said that I'm not creative, but in the past few years I've realized that's not all that true. I do crafty-crap and I love it. I'm not really a scrapbooker at heart. My SIL Heather is. She's an amazing scraper and does weekly sessions with friends and once a year 48 hour retreats. I'm jealous over her beautiful books for 3 kids... but I can't compete. 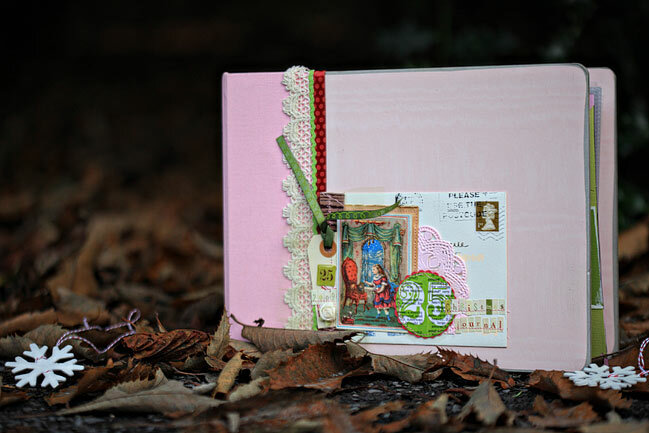 Last year Shimelle.com ' s "Journal your Christmas" caught my attention. Shimelle is amazingly creative. They type of creativity I drool over but don't quite have. Everyday for the month of the December she sends out "prompts" with ideas and thoughts and how-to's for pages in a Christmas journal. It seems daunting. We all are busy enough this time of year! But actually, it's fantastic! I don't do it everyday, but a few times a week I take some time at night by myself and just spew thoughts, feelings of the moment, pictures, etc. Its wonderfully cathartic and at the end, I have a beautiful little book to remind me of that year's holiday. I will take pics and post them here as I go along... If you want to join me on this ride, it's not too late to sign up! !